NEW DELHI, 6th June 2018 JW Marriott New Delhi Aerocity is pleased to announce that it has appointed Karthik Ramdas as the Director of Sales and Marketing. In his new role, he leads a team of 20 and will be responsible for the sales and marketing across the hotel. With over 17 years of experience in the hospitality industry, Karthik started his career at the Grand Hyatt in New Delhi. His journey then led him from The Trident Gurgaon where he worked in the Sales and Marketing department, to working for the SPG group at The Westin Gurgaon and The Westin Sohna where he was responsible for the growth and development of the MICE and corporate side of the business for the hotels. His appointment comes at a time where he will be able to spearhead and drive innovation across the hotel’s business and can work towards ensuring smooth flow of operation for the luxury hotel. 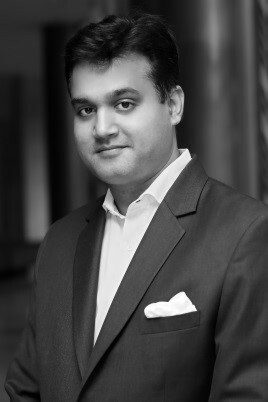 With his extensive knowledge of sales and marketing, having worked with some of the best in the business combined with his passion to drive growth in a highly competitive market, JW Marriott New Delhi Aerocity is delighted on working with him to ensure that the luxury hotel builds on the success it has hitherto enjoyed. He holds a degree in Hotel Management and has a certification in Sales and Marketing and loves to spend quality time with his family and enjoy long drives when possible.